For round 4 of the London Chess Classic, GM Sergey Shipov followed the clash between the young contenders, Magnus Carlsen and Hikaru Nakamura. Despite his uneven tournament, the Norwegian gave a masterclass in pragmatic, positional chess, taking full advantage of his opponent’s time trouble. You can find Shipov’s commentary in the original Russian, with a board on which to play through all the moves and analysis, at Crestbook. Hello once again, dear friends! The London tournament is a short one and already, in the fourth round, we’re crossing the equator. Along with me, Grandmaster Sergey Shipov, you’re going to be watching the main encounter of the day: the battle between Carlsen and Nakamura. They’ve got a special relationship – tough blitz battles and an obvious struggle to be the spectators’ favourite add particular interest to each new meeting between Magnus and Hikaru. For now the Norwegian is clearly ahead in terms of rating and results achieved, but the momentum the American’s built up of late must make his fans more optimistic. You never know! 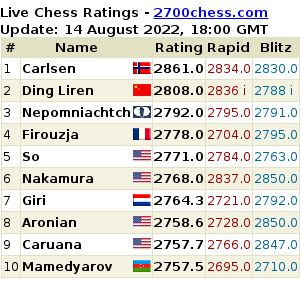 Perhaps Nakamura can also confirm his place in the elite of serious chess and fight Carlsen for the title… of the best player in the West. And now’s the most opportune moment to land a heavy blow. The Kid hasn’t been playing well for the past few months, and his performance at the start of this tournament has been feverish. The game against McShane and yesterday’s debacle against Anand make a painful impression. The varying quality of Magnus’ play even during each round has been disastrous. Brilliant and simply top-class moves have been alternating with decisions which would cause me to scold a Candidate Master. There’s no stability. There isn’t the required concentration. And I don’t know the reason – only Magnus and those close to him could say… Well, we’ll watch the game, support (each their own) and, I hope, we’ll enjoy this chess spectacle. 1. c4 Magnus has become addicted to this first move. He’s taken a liking to the English Opening! It doesn’t claim to bring a quick edge, but it gives you a chance to simply play chess without harsh concrete analysis from the first moves. Playing the opening in England is an act of respect towards the local spectators and organisers. By the way, last year it was in just this English Opening that Carlsen scored a memorable victory against Kramnik, while in this tournament he managed to overcome Adams. Let’s see if that run will be continued. 2. g3 Nf6 3. Bg2 d6 4. Nc3 g6 Each of them is sticking to his own task. 5. e3 Bg7 6. Nge2 The knight has come out into the world in such a way as not to restrict the g2-bishop. The pawn configuration is a matter for the future. Without waiting for his opponent’s d2-d4, Hikaru has in any case decided to seize the centre with pawns. 8. b3 But Magnus is keeping his pawn on d2 as long as possible. The e5-e4 push isn’t an option without a knight on f3 – it would just give White something to attack, while the presence of the knight on e2 doesn’t allow Black to attack with f5-f4. But where is White planning to advance? In the centre, I think. Asking to be played are: Bc1-b2, d2-d3, Qd1-d2 and then at some point f2-f4. Another, sharper plan is based on the d2-d4 blow, aiming after e5-e4 to undermine Black’s advanced pawn with f2-f3. 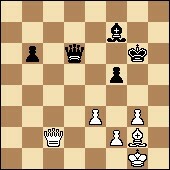 8…Nbd7 Black also has a wide choice of ways to develop his pieces. 9. d3 Switching to the first plan mentioned above. Of course, the bishop on g2 directed at Black’s queenside suggests a pawn advance but, you’ll agree, it’s a shame to need two steps to put a pawn on b4. And what can Black do now? There isn’t yet a clear target to attack. You need to strengthen slowly. Put the queen on e7, the pawn on c6. The d7-knight, it seems, will jump to c5… In general, it’s trench warfare. Nakamura’s having a long think: 1.54 – 1.35. He’s not remembering, but studying the position at the board. Creating. Giving birth to something. 9…c6 As you can see, the American came to the same conclusion as me. It’s useful to limit the g2-bishop, as the b4-b5 pawn push isn’t yet an issue… And then, by the way, with the queen on d8 you can play a7-a5 and Nd7-c5. The position’s very flexible! The pawn chains are mobile and monolithic, and every twist changes the situation, as after all pawns can’t move backwards. 10. Ba3 And there’s a confirmation of my words – playing according to the situation. The black pawn has abandoned the c7-square, weakening the d6-point, and the bishop, having deftly refrained from developing to b2, has come out to a more promising position. 10…Qc7 A difficult and far from obvious decision. It strikes me that the queen’s passively placed on c7. It won’t be able to take part in the desired attack on the kingside. Played quickly and confidently. Carlsen clearly knows what he’s doing. However, the white set-up is entirely standard and by no means only known about by super-grandmasters. 11…Re8 Reinforcing the centre in preparation for White’s attacking blows. It can’t be ruled out that Nakamura is intending to switch the d7-knight via f8 to… There are options. 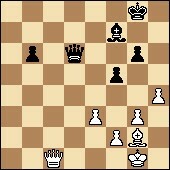 Perhaps Black is within his rights to consider the expansive h7-h6 and g6-g5. Then the wandering knight will end up on g6. It’s important, though, that during the given reorganisation you don’t allow the f2-f4 push at the most inconvenient of moments i.e. immediately after g6-g5. 12. Rae1 An extremely forthright and aggressive move. Magnus isn’t hiding his intentions. The f2 and e3 pawns must be sent into battle. 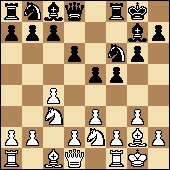 White’s advantage is in the fact that all his pieces are in play, while Black’s a8-rook and c8-bishop are sleeping. And the black queen also isn’t dazzling us with its activity. The time situation isn’t in Black’s favour either: 1:38 – 1:12. Now Hikaru needs to take precise, concrete measures. Insipid play might lead to Black coming under a real squeeze. 12…Nc5 And there’s the expected response. The knight opens up a path for the c8-bishop, it strengthens Black’s control of the e4-point (it can be used if White plays d3-d4), and also provokes White into beginning a pawn attack on the queenside – which would devalue the move Ra1-e1. 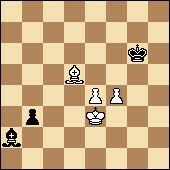 After all, after b3-b4-b5 the rook would be better placed on b1. 13. h3 A subtle reply. Not everyone would be able to see the use of gaining control of the g4-point. Very sharply played. 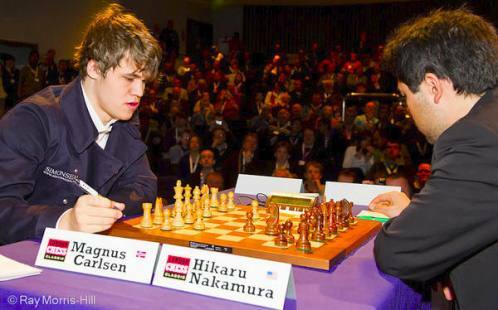 It seems as though Nakamura took Carlsen’s modest prophylactic move as a sign of a lack of confidence and the absence of good ideas for White. And decided to attack! 14. dxe4 A quick reply. It seems Magnus decided there was nothing else. Or nothing else was needed. 15. Qc2 The pressure on the e4-point can’t be withstood for long. 15…Nxc3 16. Nxc3 Be6 Black’s completed development. The only problem is the weakness of the d6-pawn. 17. Rd1 Rad8 But it’s hard to get at it. 18. Bb2 There’s no point in constantly facing off against the immovable knight. It’s better to create a counterweight to the g7-bishop. The opening duel is over. In my opinion, White has a small, but stable positional edge. 18…Bf7 But both sides have difficulty in choosing a specific plan. A subtle battle to manoeuvre is continuing. 19. Rd2 However, the doubling of heavy artillery on the d-file is hard to characterise as a subtle decision. It’s actually completely open and very effective – it’s useful to put pressure on Black’s sore point. 19…a5 A long-awaited prophylactic move. In the future the a5-a4 break is also possible. 20. Rfd1 Be5 Defending the weakness and a challenge to his opponent. Go on then, fighter, play f2-f4! In Magnus’ position I wouldn’t take the risk. The time hasn’t yet come for burning bridges behind you. There’s more than enough time for reflection: 1:20 – 1:02. 21. 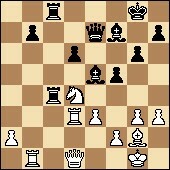 Ne2 Played simply and solidly. The bishops have started open warfare, though each player will insist on his opponent striking first. It’s not favourable for White to move the d6-pawn to e5, while Black doesn’t want to leave it undefended. In the meantime, White’s knight is marching towards f4. He also has the h3-h4-h5 break in reserve. 21…a4 Nakamura in all his glory. He’s used to responding to a blow with a blow, and doesn’t like to defend passively. It’s better to take risks counterattacking that to hope your defences hold up. 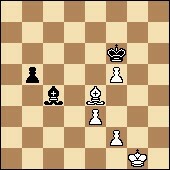 The move is entirely logical in itself – the desertion of the white knight has weakened White’s queenside. 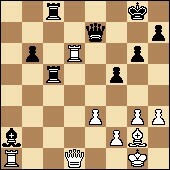 Qc7-b6 is threatened with real pressure on b3. The response b3-b4 needs the most precise calculation, as after that the f7-bishop will also come to life and become a threatening weapon. 22. b4 A natural reflex – how can you refrain from attacking such a piece! Carlsen hasn’t allowed an exchange on b3, obviously hoping to soon take on a4. But will he be able to neutralise the pressure of the f7-bishop? The c4-point is vulnerable. Correctly abstaining from spicy food. 23. Bd4 Magnus has stuck to the principle that he doesn’t want to exchange bishops on e5, and that’s that! 23…Nb6 Posing a reasonable question. 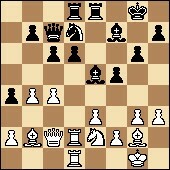 The weakness of the c4-pawn seems to force the exchange on b6. 24. Bxb6 Exactly. 24…Qxb6 But nothing terrible has happened to White. The e5-bishop is firing into space. All that’s left is to stabilise the queenside – then it’ll be possible to think about attacking options. 25. Rb1 Cunning! The Norwegian grandmaster is probably intending to attack with b4-b5. At the right moment, of course. 25…Qc7 The American retreats his strongest piece from being under attack. The exchange of the c4 and a4 pawns would suit him, of course. Time trouble is approaching: 0:50 – 0:25. But there aren’t that many moves left until the control. 26. Nd4 Correct. There’s no point rushing. Let your opponent suffer, expecting an attack. No active play for Black is visible. 26…Rc8 Logical prophylaxis, preparing to meet 27. b5 by simply taking 27…cxb5. 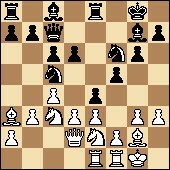 It seems as though Black’s defence is solid, while at the given moment the a4-pawn is poisoned. Can you guess why? 28. Rd3 Carlsen, of course, solved that puzzle. 28…c5 Nakamura’s right again. Instead of reflecting on the sad fate of the a4-pawn it’s better to distract White’s attention from it. Or write it off! Black’s attack has been fully prepared. The knight on d4 itself stepped into the firing line. Now, it seems, you can get to the c4-pawn. Complications are beginning. The instruments show: 0:40 – 0:16. 29. bxc5 It’s not certain this is the best choice, but it’s the simplest. 29…Rxc5 The minus of White’s continuation is that after taking on a4 d6-d5! follows, and then you take on c4 with the pawn – which becomes a dangerous passed pawn. 30. Qxa4 Well, we’ll test it out. 30…Rec8?! A surprise, and I suspect a pleasant one for Magnus! The pressure of the black piece batteries is directed at nothing. The b7-pawn is weak, the d5-point is bare. The black king will be weak in future. Conclusion: White has an edge again. And this time quite a noticeable one. 32…b6 Unconvincing bait. Hikaru makes it so taking the pawn will happen without an attack on the black queen – and then it’ll be possible to take the white one by infiltrating with the rook on c1. 33. 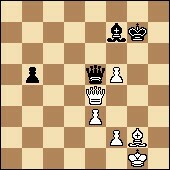 Nb5 An unpleasant move in chess terms, and also carried out quickly. Black’s d6-pawn is weak. Besides, in some lines White is able to crowd out its faithful defender with f2-f4. Time is melting away on the clocks like snow on your hand: 0:28 – 0:06. Things are getting worse and worse for Nakamura. 33…R4c5 With his flag about to fall he strives for clarity – even at the cost of losing a pawn. 34. Nxd6 Carlsen accepts the offer. After the loss of the d6-pawn a painful defense awaits Black and his weak king. 36…Rc1 With only a minute left on his clock Hikaru has come up with a way of elimintating the rook livestock. 37. Rxc1 Rxc1 38. Rxg6+ You have to grab the pawn. 38…hxg6 39. 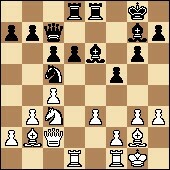 Qxc1 Qd6 So then, White has won a pawn, but Black in exchange has gained a promising outside passed pawn. And therefore chances of survival. The control has passed. We’ll drink the traditional mug of coffee (a small cup is no longer enough) and, without rushing, have a think about the position that’s arisen. 41. h5 A powerful and very well-timed blow. Carlsen is confidently disembowelling his opponent’s kingside. If the pawn’s taken on h5 then check on c8 follows. The black king is becoming even more bare. The time isn’t far away when White will get a pair of passed pawns. But in queen endings, as an even just slightly competent chess player knows, it’s not the number of passed pawns that’s important, but how close they are to their goal. So the task for Black is extremely clear – to push his pawn. Perhaps even at any cost. 41…Kh7 Correct. You have to suffer. 42. hxg6+ It’s not certain. It’s not certain that it was worth immediately defusing the situation. 42…Kxg6 It’s possible that here as well Magnus has come up with a way of opening up play. 43. e4 is asking to be played. There are also other appealing options. I’ve got no objections. The queen is targetting both the f5-pawn and the black king. There’s still no time for the b6-pawn to take any steps, as after all 44. g4 is threatened. 43…b5 Hikaru is decisively contradicting me! Not even knowing it… He’s actually carrying out my maxim: push your trump pawn at any cost. For example, the cost of the f5-pawn. 44…Qe5 Amazingly quickly played. He’d thought about it in advance and then carried it out. Accurately calculated. 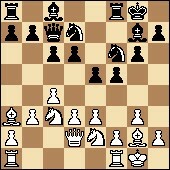 The exchange of queens, when I had a quick look at it, leads to a win for White. The b5-pawn is neutralised, move by move. 46…Qd6 Nakamura has repeated Carlsen’s calculation, or simply believed him to save time. Which, however, there’s still plenty of: 0:52 – 0:42. 47. Qh4 You could also have given check on g4. However, White in any case has great winning chances. The black passed pawn should be held in check by the bishop… Or the queen! It looks as though Magnus has come up with the cunning 48. f6+! to meet 47…b4. Exchanging pawns would lead to an easily won endgame for White. 47…Bc4 A solid move, but it doesn’t create any constructive ideas. For now the b5-pawn can’t be moved. 48. Bf3 Played with solidity to spare. White isn’t allowing Black to make even a single active move. There isn’t even a check on d1, while the bishop will enter the attack from f3. 48…Qf6 Having realised that his king will fall first with queens on the board, Hikaru is returning to the idea of exchanging queens. 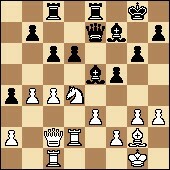 White has a pleasant choice – the exchange is good, as is rejecting it with 49. Qf4. 49. Qxf6+ Simple and strong. The game has entered the finishing straight. Black can’t be saved. 50…Ba2 Nakamura is testing out the main line. 51. f4 b4 52. Kf2 b3 53. Bd5! That’s the main move. 53…Kxf5 54. Kf3 Black’s helpless. 54…Kf6 The American is fighting to the end. The Norwegian grandmaster isn’t rushing and is playing extremely solidly. As required. 57. Kd4 Kg4 58. f5 Kg5 59. Ke5 BLACK RESIGNED. A convincing win for Carlsen! A fair outcome of the play. He’s seriously improved his position and slowed down one of his main rivals. Moving ahead today were the titans of chess – Anand and Kramnik, who both achieved standard wins. For now McShane is still holding up well, but he’s already lost the sole lead. The real struggle’s still ahead of us. Thank you all for your attention. Grandmaster Sergey Shipov wishes you a good Sunday. Tomorrow we’ll meet again, for the fifth round. All the best! Fantastic translations. Wonderful. Makes the games a million times more enjoyable. Rd.3 was very disappointing; surely all of Anand’s manoevring deserved more explanation than a mere “Black’s rook is deserted from K-side”…. I think he’s generally very good at explaining manoeuvring – but it’s just enormously hard to be fresh and enthusiastic about a position like that (where there’s nothing clear-cut to talk about) when you’re deep into an endgame after putting a lot of work into explaining what had gone before. It was especially tough psychologically as it had looked as though for one day he was going to finish work early as Vishy had a straightforward tactical win! yeah… that sound right. Never thought of an annotator’s psychology before, but a live one’s surely must be considered. Guess I forgive him -;) thanks.